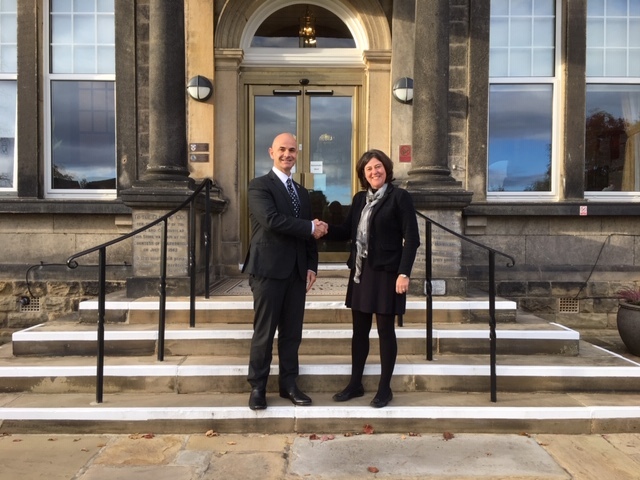 Police and Crime Commissioner for North Yorkshire, has donated £1,932.80 to The Police Treatment Centres, which treat injured, ill and those Police Officers who may also be suffering psychological issues such as stress and anxiety. The money was raised through an auction following the move of North Yorkshire Police headquarters from Newby Wiske to Northallerton. A total of £3,865.61 was raised, and was split equally to the Police Treatment Centre and the North Yorkshire Police Welfare Fund. The purposely designed Police Treatment Centres care for around 4,000 officers every year offering intensive residential physiotherapy ensuring officers are back in full operation more quickly serving the public and keeping our communities safe. The charity is largely supported by Police Officers themselves with a weekly payroll contribution to The Police Treatment Centres, however with falling numbers of Police Officers and rising costs The Police Treatment Centre has to find ways of bridging the gap. We are privileged to have one of the two UK Police Treatment Centres in our county, and I have seen first-hand the brilliant work they do supporting serving and retired police officers. I know this donation will be put to good use, and it seems fitting to donate to this particular charity, along side North Yorkshire Police’ welfare fund, given where the money has come from. Officers put themselves in harms way every working day of their lives so it is only right we are there to support them when they need it. Following the move of the North Yorkshire Police headquarters from Newby Wiske to Northallerton town, various historical policing items were assessed and categorised as part of the moving out process. As a result of that work, a number of historically-significant items have been retained by North Yorkshire Police and will be on display at their new headquarters at Alverton Court in Northallerton. For those items not being retained, local museums have been approached and have identified items of interest, which have been donated to them. Attempts have also been made to contact officers, staff or their families, as well as liaising with the National Association of Retired Police Officers, who have ties to certain objects. Those items which weren’t retained or donated were due to be sold at auction in recent weeks and months. The first auction was held on 30 January 2018, and after six auctions altogether, 112 items have been sold. 21 items are still to be sold at future auctions. To date, the value of items sold comes to £4,370. £140 was raised from the sale of a clock and has been allocated to Cancer Research at the request of the family of the officer whose name is inscribed on the item. As the auction company charge a fee of 5%, this has meant £4,018.50 has been raised so far. The next auction is scheduled for 29 May. Any money raised from the sale of the items will be donated equally to the Police Treatment Centre and the North Yorkshire Police Welfare Fund. This however will be following the sale of the remaining 21 items. Julia Mulligan, elected Police and Crime Commissioner for North Yorkshire said: “Sadly not all our historic items were able to be retained because there simply isn’t space to store them all at our new headquarters. It is a similar picture at local policing museums who just weren’t able to take all the items they would have liked. North Yorkshire Police will put a number of commemorative items that were listed for auction on display at its new headquarters, and has offered the remaining items to museums and policing organisations free of charge. It comes after the initial auction of items from our former headquarters Newby Wiske – scheduled for in November – was put on hold after feedback from retired officers. Recent press reports have stated that items have not been offered to museums. This is totally incorrect. A number of museums have been consulted and have identified items of interest, which are being donated to them. This includes Ripon’s Police Museum and the Green Howards Museum in Richmond. Media reports have also suggested that retired officers have not been consulted. Again, this is incorrect. Organisations that represent serving and retired officers have been consulted extensively and have provided feedback from members which has informed our decisions. Following this consultation, a larger number of items are now being retained by North Yorkshire Police. Some remaining items, which were offered but not taken up during the consultation, will go to auction on 30 January to generate money we will reinvest in providing policing throughout North Yorkshire. Temporary Assistant Chief Constable Phil Cain said: “We’re grateful for the feedback we received from retired officers and others who raised concerns about the auction of some items from our old headquarters. North Yorkshire Police had already retained a number of historically-significant items when we moved headquarters. During the consultation, North Yorkshire Police also identified more items which will go on display at our new headquarters in Alverton Court along side the artifacts we chose to retain. We have also reviewed the location of the auction and concluded that the original auction house is best placed to handle this sale, as we hope it will generate the best sum for each item. The auction will be held by on 30 January by Wilsons Auctions. Items can be viewed online and bids placed on their website www.wilsonsauctions.com or by calling the Dalry auction house directly on 01294 833 444. They will be kept and displayed by NYP on behalf of interested parties, with the exception of the Green Howards plaque which is destined for the Green Howards museum. We have postponed our planned sale of historical items from our old headquarters in Newby Wiske following feedback from retired officers. We had already retained an number of items prior to the planned sale and these are due to go on display at our new headquarters in Alverton Court. We are now going to review the remaining items that were destined for auction. 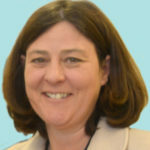 Assistant Chief Constable Amanda Oliver, said: “My thanks go to the retired officers who have raised this issue. We have now decided to postpone the auction due to the level of concern and feedback we have received about the sale. “Although a great deal of work and consultation was carried out to review each item before they were put up for auction, and we did in fact, retain a large number of artefacts prior to the proposed sale, we will carry out a further review before any sale goes ahead. “The review will also include a decision on the most appropriate location to hold the auction in future. “We will keep members of the public informed about the outcome of the review through our website.